WPIX, New York City’s CW affiliate, is marking its upcoming 70th anniversary with a special logo design and programming. The station, which went on the air June 15, 1948, was the city’s first independent station and today is Tribune Broadcasting’s flagship station. 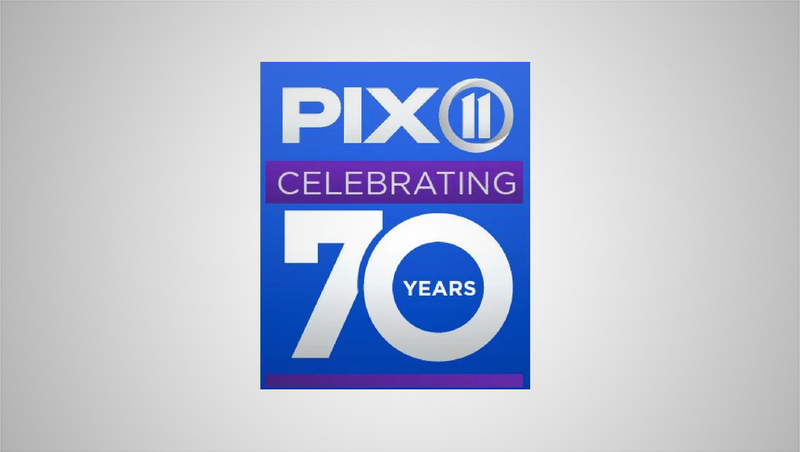 To mark its “PIX11 Celebrating 70 Years” coverage, the station created a new “70 years” logo, which combines the station’s familiar “Circle 11” logotype with a violet bar containing the word “celebrating” and a large “70” with a rounded zero — a nod to the Channel 11 logo shape. In addition to the special logo, the station will air an hourlong retrospective, incorporate vintage Yankees clips into its June 15 coverage of the team’s game against the Tampa Bay Rays, special interstitials and retro-themed entertainment programming. Tribune Broadcasting’s sale is pending to Sinclair Broadcast Group, though Sinclair has submitted plans to sell WPIX and its sister station in Chicago, WGN as part of the deal.